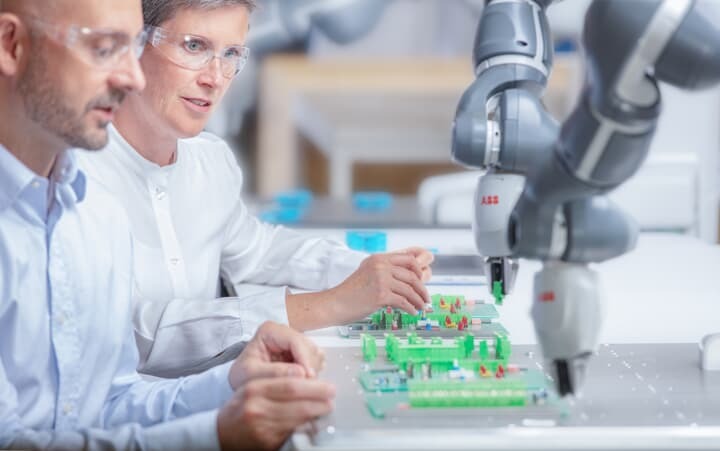 In 2015 ABB introduced YuMi, the world's first truly collaborative robot. YuMi was a game-changer and heralded a new era where people and robots safely and productively work side-by-side, without barriers. 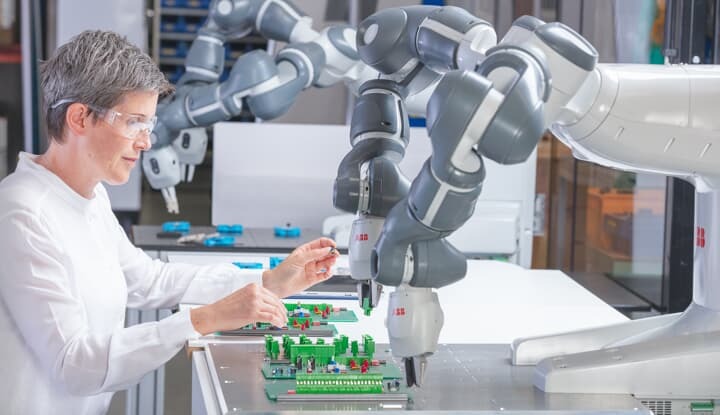 Collaborative robots are adept at adding flexibility to assembly processes that need to make small lots of highly individualized products, in short cycles. By combining people’s unique ability to adapt to change with robot’s tireless endurance for precise, repetitive tasks, it is possible to automate the assembly of many types of products on the same line. 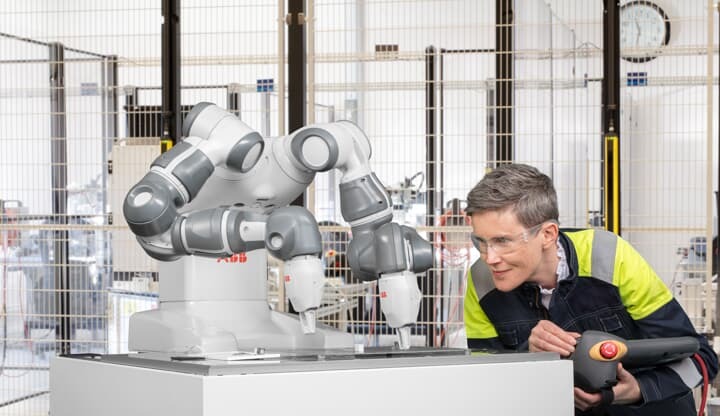 ABB’s growing family of YuMi robots is part of a suite of exciting collaborative automation solutions that help people and robots safely work closer together than every before possible. 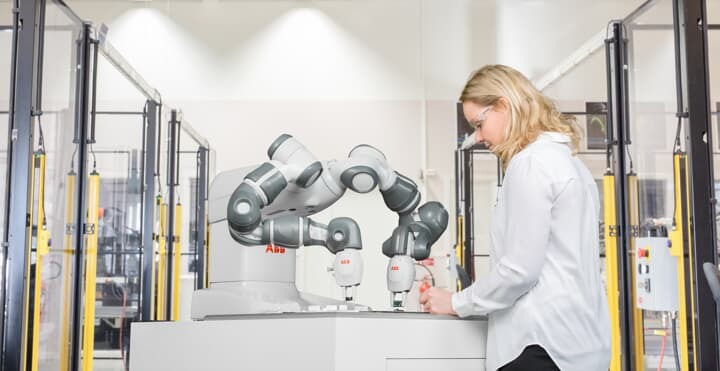 ABB is adding a new member to the YuMi family, 7 axis YuMi, the smallest and most agile collaborative robot yet, making it easier than ever to put into production. The new 7 axis also opens up a world of flexible possibilities – for example a single-arm and a dual-arm YuMi could be combined to add a parts feed or inspection station to an assembly cell. Additionally, customer might want to have three or five YuMi arms in an application to improve the cycle time. The entire YuMi family is designed to be easy to setup and use thanks to its intuitive lead through programming. That means that even people without specialized training or prior experience can successful use robots. Read more about Single-arm YuMi. YuMi. You and Me. Together.